Almost everyone who drives has forgotten where they parked. Places like stadiums, malls, festivals, and other such places have parking lots that are miles long from end to end. Wouldn’t it be nice to just know where your car is? As it turns out, there are apps for that. Unfortunately, there aren’t any apps that’ll track a stolen car. You’ll need to buy hardware for that. However, we can help you find where you parked your car! 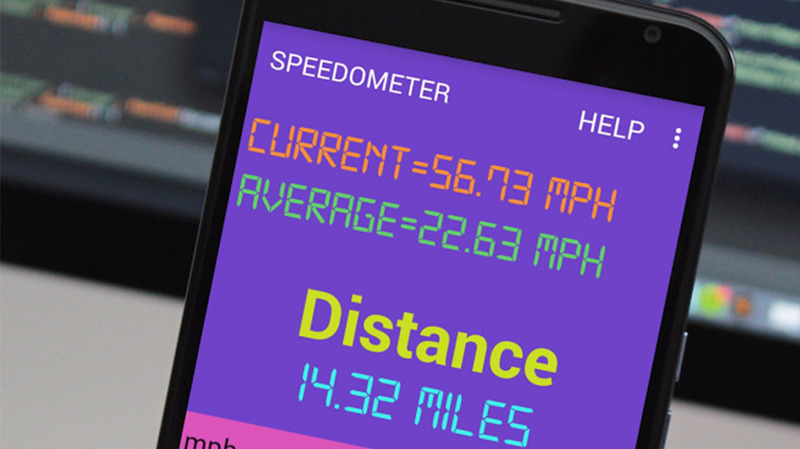 Here are the best car tracking apps for Android. Hurdlr is one of a few car tracking apps for self-employed people. It is for people who drive as part of their work. You can easily track how far you drive, how much money you spend on gas, and other stats like that. You can then use those numbers at tax time to get your proper deductible. It has integration with Square, Uber, PayPal, and tons of other companies. It also has a few additional tools for self-employed people. It's not something you'd traditionally think of in this space. However, it is really useful and free. Google Maps can do a lot of things. That's what makes it one of the better car tracking apps. An update in 2017 gave you the ability to save where your car was on the map. You then use Maps to find your way back to your car. It has a lot of other features as well. You know most of them. It'll give you step-by-step directions, show various transit information, and you can even re-route your commute to avoid obstacles like traffic or construction. It's a one of a kind app. Those who use this app already should just keep using it for keeping track of where your car is. Path Guide is one of the unusual tracking apps. It's a newer app from Microsoft. It works by recording where you walk. Thus, you can start recording when you leave your car and stop when you get to the entrance. You can then reverse those directions and the app will tell you how to get to your car. You can also share your paths with other people. That makes it really easy to help them find you in something like an amusement park or festival. It's a newer app and still has some bugs. However, it does work most of the time. SpotAngels is probably the best of the car tracking apps. It quickly and easily lets you save where you parked for easy recall later. Additionally, the app can show you no parking zones so you can avoid parking tickets. The parking spot saver is available everywhere. However, the parking tickets part is only available in a few cities. It has expanded a lot over the last year, but the selection is still fairly limited. Luckily, people can report spots where they're likely to get tickets. That info will be available to other people who use the app. It's growing and it's working quite well. Manufacturers are making a bigger push into the mobile space. Many car companies now have apps that connect to their cars. Ford, Chevy, Lexus, and many others are doing it. The apps aren't all that good. However, every now and then they can actually be helpful. We would recommend you try your luck with one of these apps if your car is new enough to support it. Worst case, there are other apps on the list that will get the job done for sure. These apps will likely improve over time to do better. If we missed any great car tracking apps, tell us about them in the comments! You can also click here to check out our latest Android app and game lists!